Whether you are a pastor, a bathroom cleaner, a deacon, a youth leader, a worship leader, a camera operator, a cafe worker, a diaper changer, a small group leader, or just a bi-weekly pew sitter; you should be praying for your church. 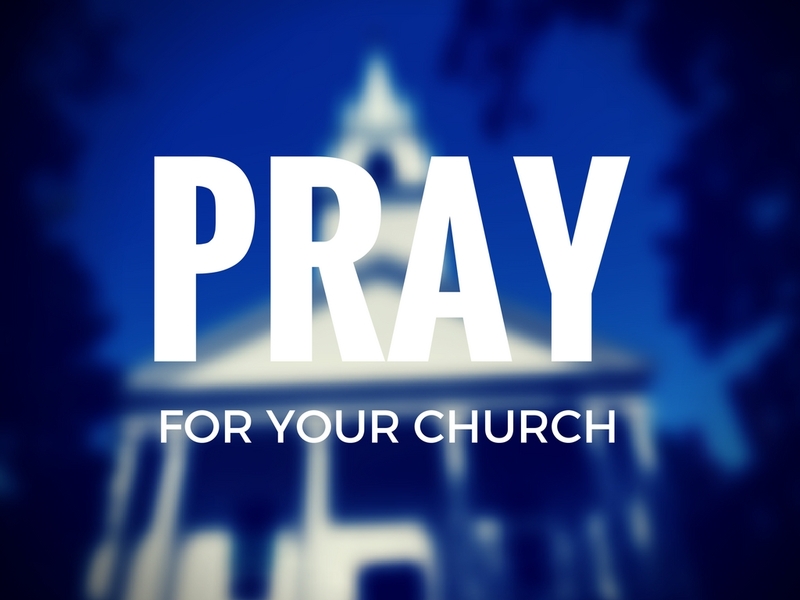 By spending a few minutes each week in prayer for your church, you are doing much more than offering requests to God. You are aligning your heart with God's heart because God's heart is for His church. You are prioritizing God's kingdom because God's kingdom is played out through His church. You are focusing your attention on the proclamation of the Gospel because the church is the vehicle God has ordained to spread His good news to all the world. You can pray many things for your church. Below are eight requests you can make on behalf of your local faith community. These are pulled directly from our church's Sunday Prayer Prompter which guides our Prayer Crew during their Sunday morning meetings. Pray that God will be honored with our worship on Sunday and the lives we live during the week. Worship is more than just singing. Perhaps it begins with our Sunday music, but that is just the inspiration for us to go out and live worshipfully(made up word) in the world. It is good to pray the lives of your brothers and sisters would be honoring to God and it is VERY GOOD to pray that your life would be honoring to God. Pray that the words we speak to one another would be full of grace and truth. Every person who worships with you on Sunday should leave feeling encouraged, energized and inspired. If the words they hear are harsh and judgmental or if the words they hear lack the power and conviction of God's truth, they will leave with less than they should. How we interact with one another when we are together is critical in how we will interact with the world when we are apart. Pray that Jesus and His teachings would be at the center of all we do. Too many churches get distracted by programs, events and politics. Too many preachers get distracted by life improvement sermons and the health and wealth gospel. This is not to say every sermon must be based on Matthew, Mark, Luke or John; but rather every sermon should emanate from and point to Jesus. Pray that your church will never lose their Christ-centered focus. Pray that many of our people will have opportunities this week to change the world around them. I often say that none of us should expect to change the world on our own, but each of us should strive to change the world of those around us. Pray that the members of your church would do well with the opportunities they receive during the week. Pray that they will be generous, kind, gracious and loving to everyone who crosses their path. Pray that we will be constantly changing as a result of our interaction with God’s Word. Sanctification is the ongoing process by which God's Spirit forms us into the image of Christ. One of the Holy Spirit's primary tools is the Bible. As the people from your church invest their time in God's Word, pray that they will be willing to take the steps prescribed for them by the passages they read and study. Pray that everyone who joins us today will know that they are deeply loved by Jesus. Jesus loves everyone. Jesus' people ought to love everyone. Everyone who encounters Jesus' people ought to know they are loved. This seems simple. Pray it will be the reality in your church. Pray that we would be known throughout the community for the love we show people. In John 13:35 Jesus said, "By this everyone will know that you are my disciples, if you love one another." Every church is known for something (unless they are not known, which is even more sad). Pray that your church will be known for the way they treat people, specifically, the way they love people. Pray that our children and teens will learn to love God and follow Him for their entire life. Churches that do not pass their faith to the next generation do not have a next generation. Children today face a vastly different world than did we. The world today is more hostile to faith and more inviting to temptation. Pray that God will protect the hearts and minds of the children in your church and that His Spirit would fill them with a burning desire to follow Christ for all their life.